Guys! This may be my favourite post yet in my "Treat Yourself" series! Why? Because this one is permanent! Two days ago, I got my FIRST tattoo!! Disclaimer: This tattoo was done at no cost to me, however all opinions are 100% my own. 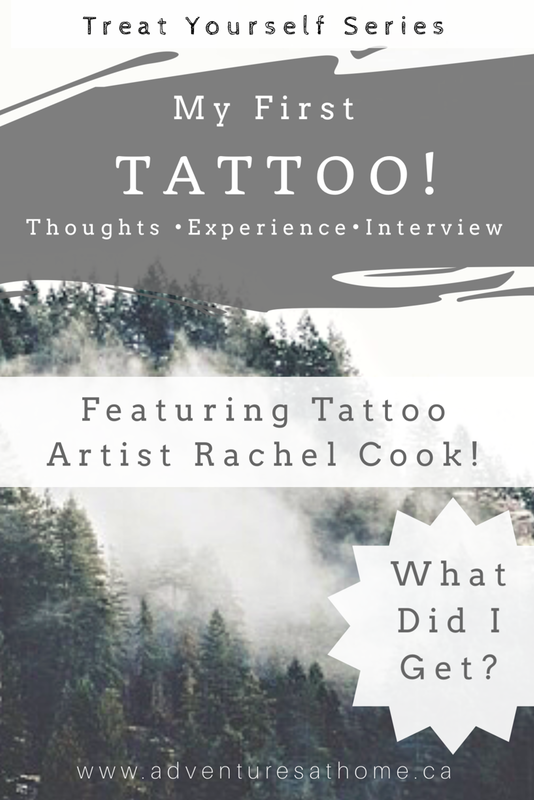 Before I go into details about what I got and why, I first want to introduce you to the beautiful tattoo artist, Rachel Cook. Rachel is an extremely successful tattoo artist and shop owner at Compass Rose Tattoo Company in Saint John, New Brunswick. I am thrilled to say that she is also now working out of Marked For Life Tattooz in Oromocto, NB. How long have you been tattooing and how did you decide to be a tattoo artist?
" I went to school, I got a university degree, and I did what everyone wanted me to in all areas of my life. The more I did so, the further I felt from myself. I worked in corporate. I did well, but art had been a part of my life since childhood, and adult life left no room for creativity. One day I kind of just ran away with the circus and pursued art. I retired from being inside the box. It's been approximately 4.5 years. There weren't many women in my field at the time. I was the first female in the city I started in. It was an uphill battle"
What is your favourite style of tattoo to do?
" I just enjoy doing what makes the client feel beautiful and confident, but I love classic horror images." What advice would you give to someone asking for their first tattoo? "Do enough research to be able to clearly articulate what it is you want. Communication is everything. There are 100 ways to tattoo a flower, so be clear on style. We WANT your input and clear communication allows us to give you what you want. What questions should someone ask their tattoo artist before getting tattooed? "It's not really anything you need to ask. You can have 10 years experience and it can be 10 years of repeating the same errors. In our industry, there are visual representations of skill, so I think it's important to look at our work and make sure you connect with the artist themselves." *Side note* As Rachel was doing my consultation, she advised on the importance of finding a clean shop that uses proper sanitization methods. Rachel opened everything in front of me to show how the items were new and disposable. Please ask a shop questions about sanitization methods before getting your tattoo. How does someone choose a tattoo shop when there are so many to choose from? What sets your shop apart?
" Every shop has its own personality and appeal. I own Compass Rose Tattoo Company in Saint John, and work here in Oromocto at Marked For Life. Both shops really gear towards being approachable. I think that is key- the client comes to you and says change how the world sees me and how I see myself- that's amazing! We value and appreciate that. For me as an artist, I value working in a space that is related and not intimidating. I think the same things hold value to our clients. Relaxed, friendly, approachable, and truly appreciating our clients as people." Surprisingly, I wasn't nervous at all. I decided on the design weeks ago, and it just felt like something I needed to have. My arm felt almost empty without it. I wasn't afraid of the pain either, although once she started I found that it was a bit more painful than I expected. Kudos to everyone with huge tattoos- seriously. My husband was working, so I went with my friend Kelsey. Marked For Life Tattooz is located right when you come off the highway from Fredericton to Oromocto on Restigouche Road. Rachel was very knowledgeable and super friendly. The shop was very inviting and I didn't feel intimidated at all. I've been to other tattoo shops with my friends that had a very harsh feel to them, but I felt totally at ease here. She had me lie down on what looked like a comfortable massage table, and supported my arm with a swing out arm rest, which she used to tattoo me on. The tattoo itself took maybe 10-15 minutes to complete and I was given an aftercare sheet on the way out. I was pleasantly surprised to have absolutely no oozing or swelling after. My tattoo started scabbing over that night, and I've been keeping it clean and moisturized. 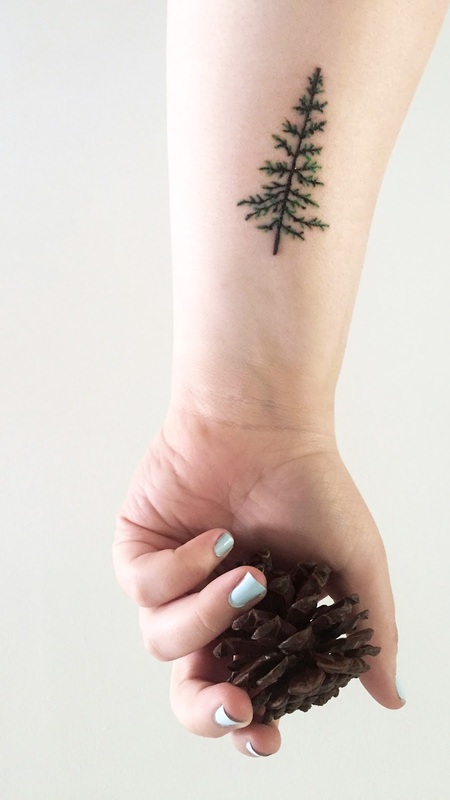 It was a great first tattoo experience, and if you're in the Fredericton/Oromocto area and considering a tattoo, definitely contact Rachel at Marked For Life! I've wanted a tattoo since I was 16 and drove past the new tattoo shop in my home town. Now that I'm almost 28, I'm so glad 16 year old me didn't get that Hawaiian flower on her wrist. Not that there's anything wrong with that, but its not me, and it had no meaning to me. I wanted something that I won't get bored of and that represents this part of my life. 2017 so far has been full of trials and triumphs. The year started off with us finding out I was pregnant, then finding out it was a molar pregnancy. 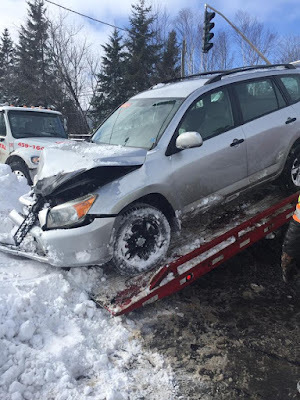 My husband then got into a car accident in February 3 days after we bought this Rav 4 (thankfully everyone was okay). 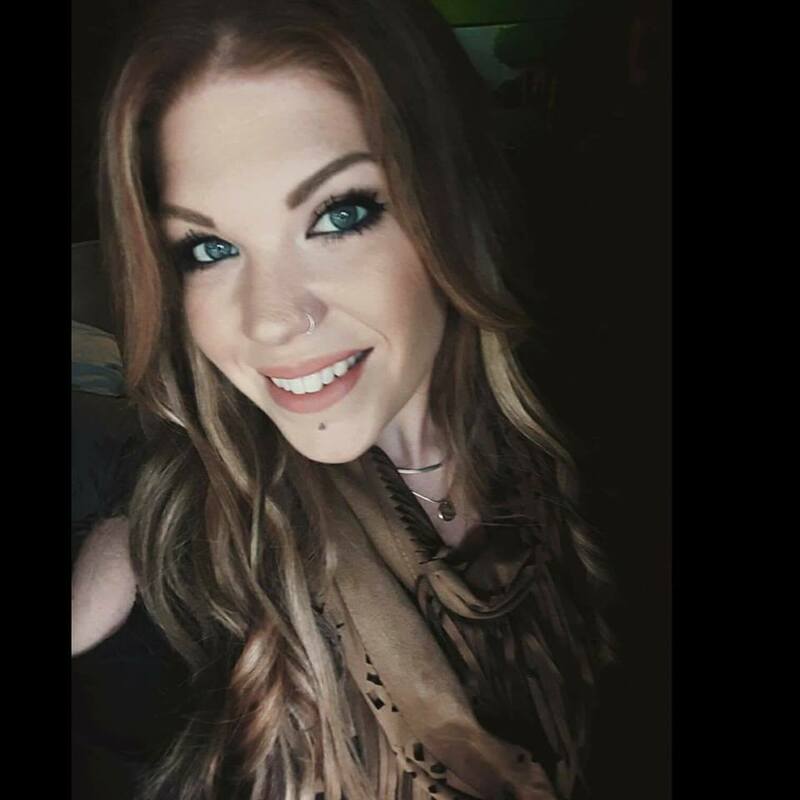 I decided to quit the schooling I was taking through correspondence and decided to follow my lifelong passion of writing and my love of social media. In March, I rebranded Adventures at Home and worked hard to turn my dreams into a reality. In early Summer I got a dream freelancing job, and things felt like they were finally coming together. How is all of that relevant to my tattoo? My last blood draw for the molar pregnancy is this month, and it felt like a good time to get something pretty on the same arm that I've had 30+ blood draws from. I traded the blood work chair for a tattoo chair. I wanted to get something that represented strength and growth, because I feel like I've grown a lot as a person and in my career this year. I also wanted to feel happy when I looked at it. I got a tree that stands strong through all seasons. It reminds me of my grandparents old camp, and how I spent many years happily exploring the trails and the woods surrounding it. As a December baby, it also reminds me of Winter, the holidays, and my birthday. How could I not feel happy looking at this? Comment below and tell me all about your first tattoo, OR if you have several, which is your favourite and why? Love the tattoo and also the sentiment behind it!